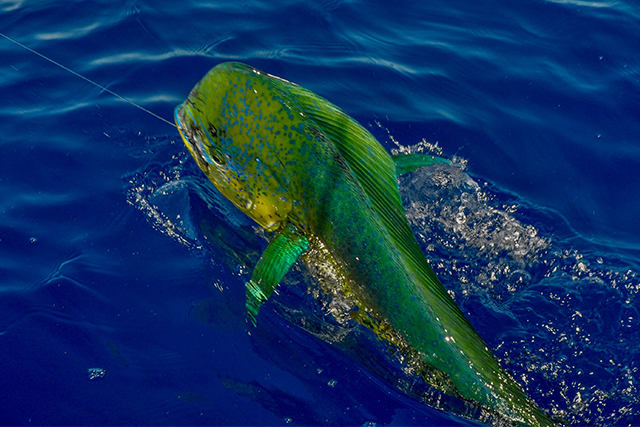 Panama is the ultimate blue water fishing destination for lure and bait tactics. 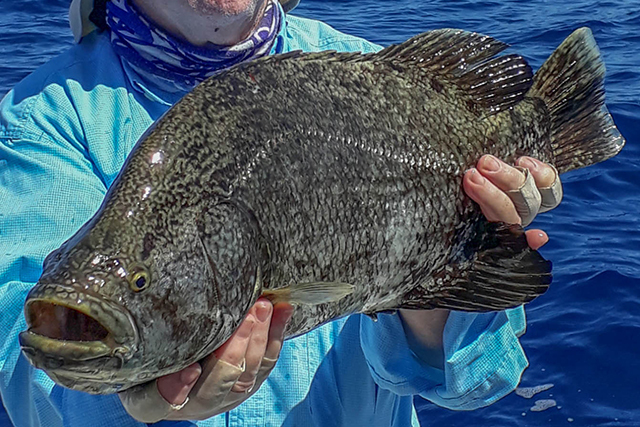 Fishing inshore with surface poppers or offshore for the bigger species produces plentiful action in a stunning location. 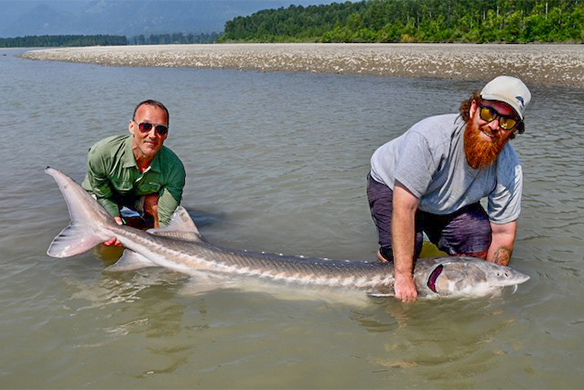 Martin Wicks is an intrepid angler who has fished in many countries. 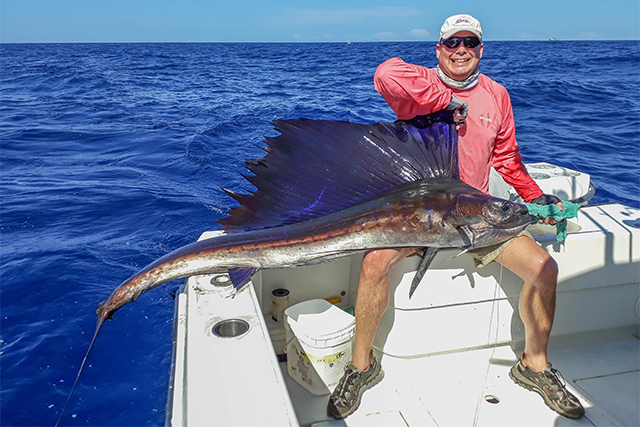 Panama certainly produced the goods on his trip in February to Paradise Lodge Panama where he hooked a wide variety of species including Marlin, Sailfish, Grouper and Yellowfin Tuna to name but a few. 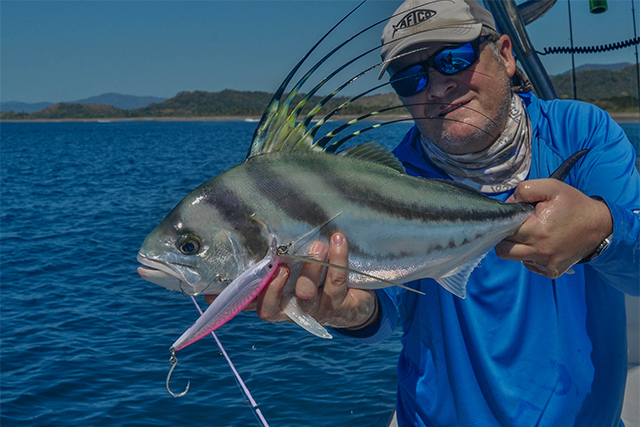 Panama ticks all the right boxes for great action, top guides and a superb family owned fishing lodge. 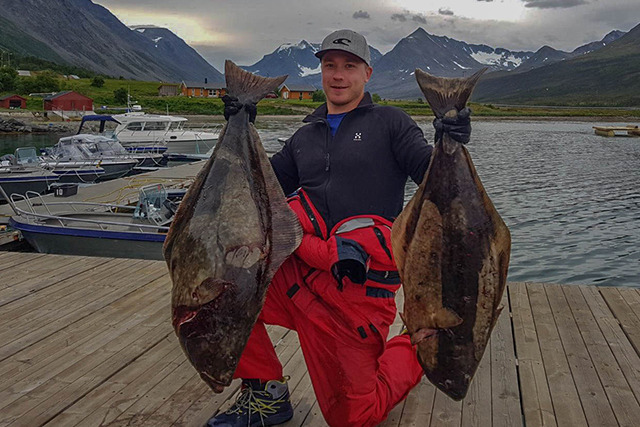 The Lyngen Fjord provides scenic and sheltered fishing close to excellent and productive marks. Quality cod, halibut, coalfish and haddock on pirks and shads using modern well equipped self use boats. 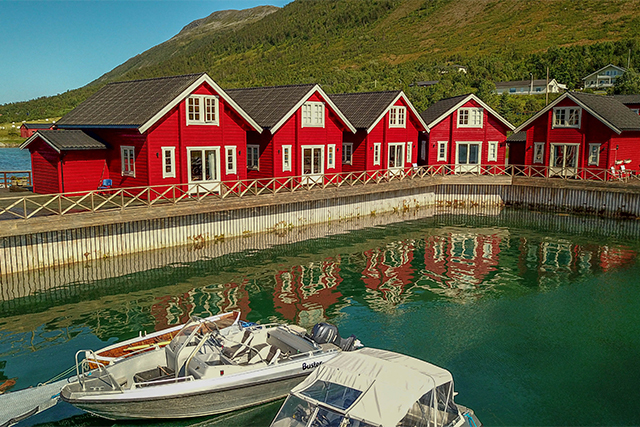 The centre is located about 2 hours from Tromso Airport and has excellent accommodation and facilities. Prime time is May to September but April and October will produce with stable weather. 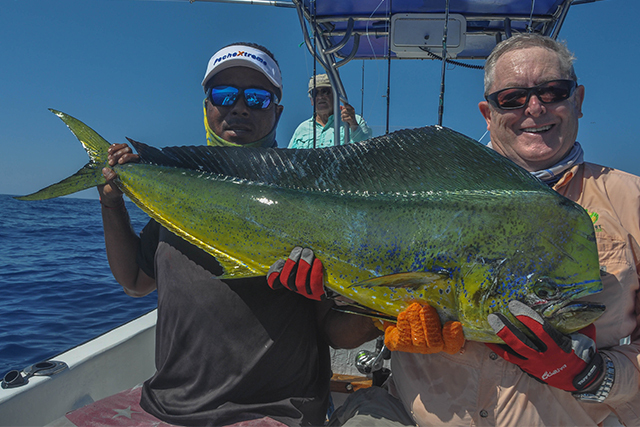 Samara Sport Fishing have a great operation in a stunning beach location in Cost Rica. 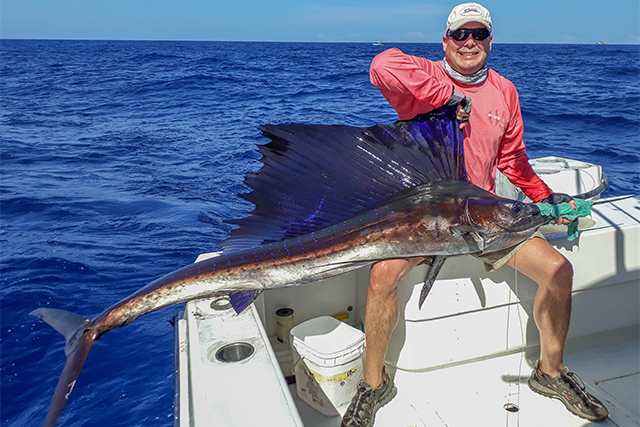 Dave Lewis always enjoys returning here with a small select group of anglers in search of plentiful action and variety of species. 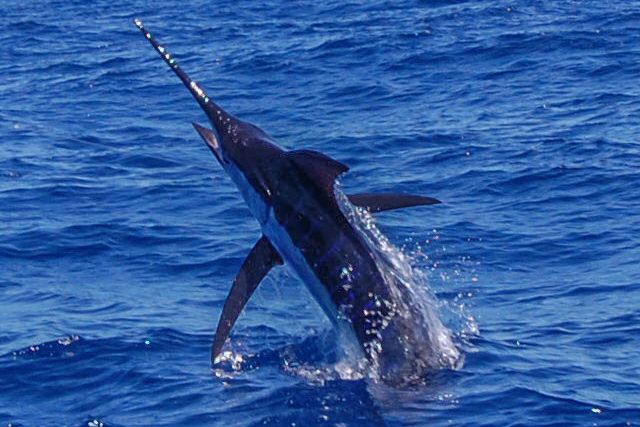 A recent trip in January provided outstanding action for all 6 anglers. 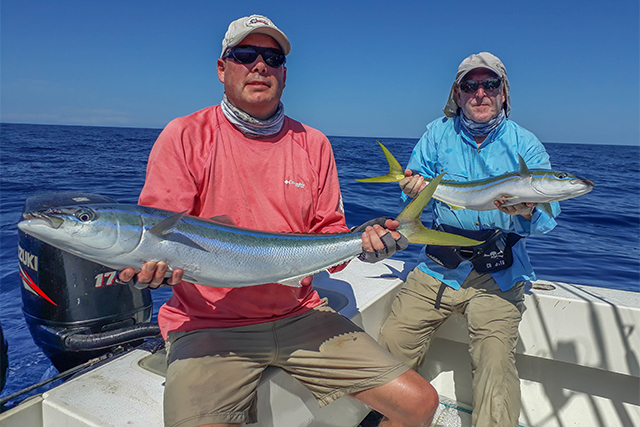 Dave Plummer is currently at Paradise Lodge with a group of clients enjoying superb salt water action on lures and baits. 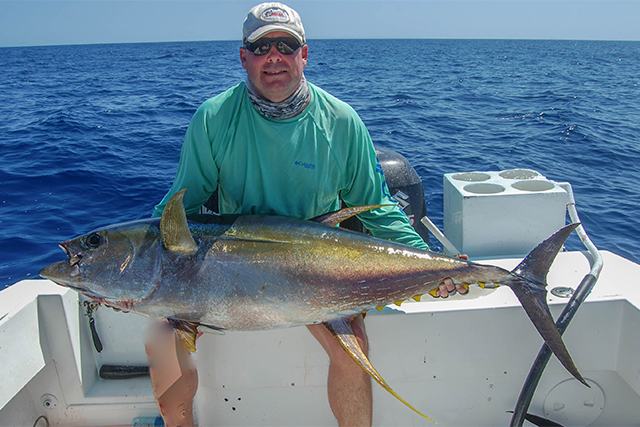 Big yellowfin tuna, marlin, sailfish, dorado and a host of other species. Action packed days in the tropics. 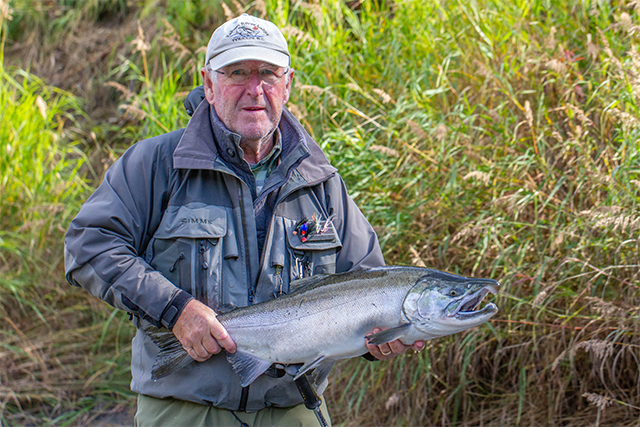 Enjoyed a great film shoot with Mike Cornall and David Brady fishing some prime Coho Salmon streams. 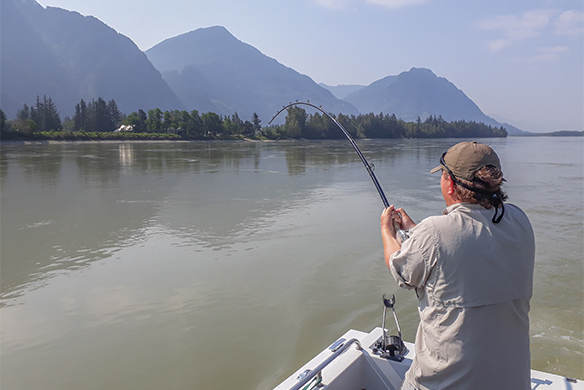 Levels very low and runs lower than last year but still good sport with over 100 salmon caught and released on the fly in 6 days between 2 anglers who enjoyed their first salmon trip. 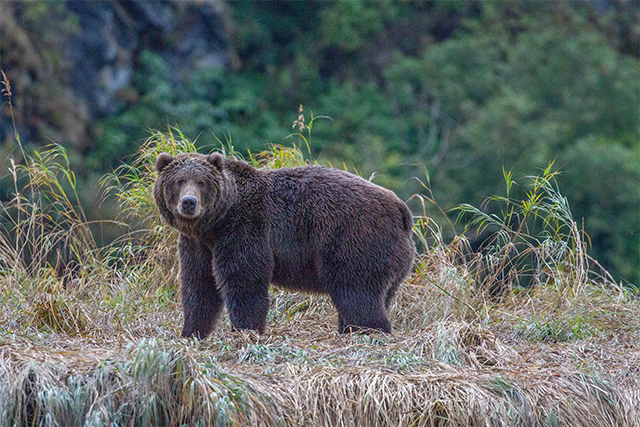 The Kodiak Brown Bears were most accommodating too, and friendly. Wellesley Lake is 600 square miles in size with a huge variety of features from shallow weedy bays to rocky underwater “terraces” and drop-offs to deeper areas of varying depths. Wellesley is one of the richest both in food terms and fish stocks. Whitefish and northern pike head into the shallows as temperatures rise. Conversely the big lake char head for deeper water. 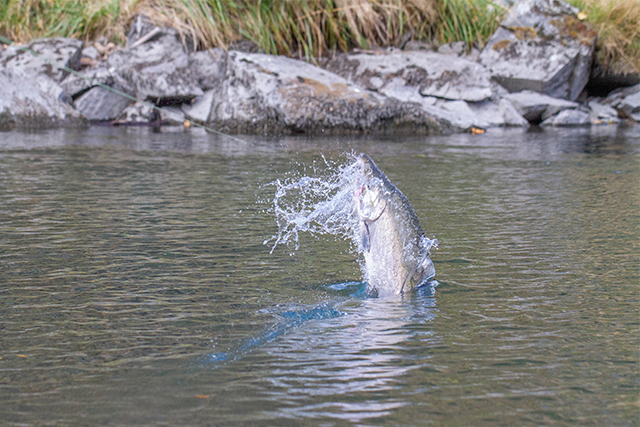 We target these areas for big char in the 20 to 50 pound plus range in the warmer periods of July and early August. 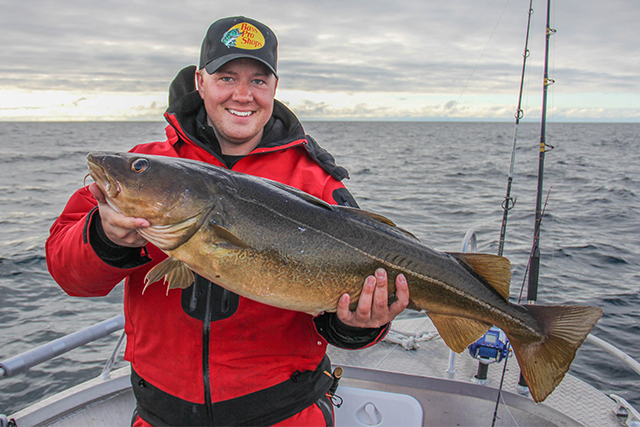 In 2018 we enjoyed amazing sport jigging and slow trolling, drop shotting large soft plastic lures and jig rubes in 40 to 70 feet. 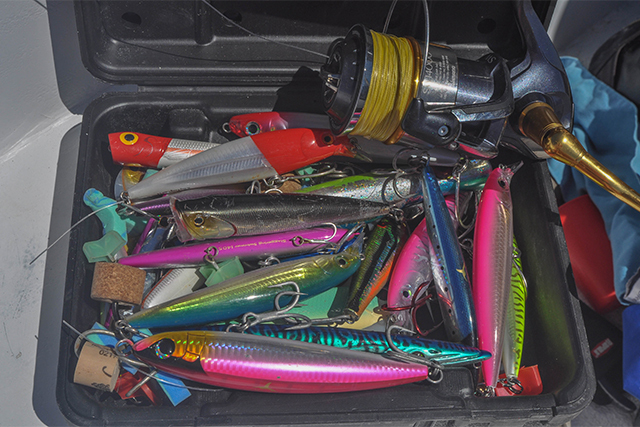 It is critically important to have the correct tackle and rigs and also to ensure the char has time to “de-gas” as they are brought to the boat. They should not be rushed and under normal circumstances, they will de-gas around mid-depth. 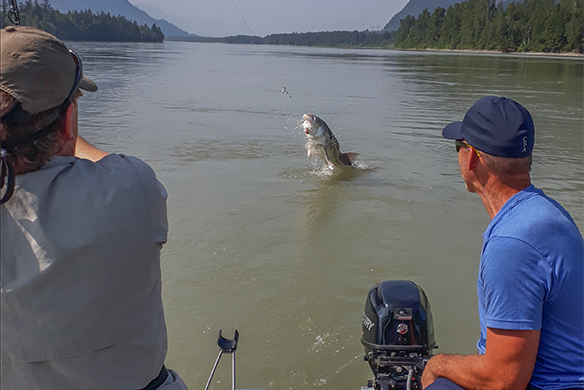 Casting and trolling streamer fly patterns is effective for char in the 4 to 20-pound range fishing the shallow areas in early and late summer. My since departed fishing partner and I used to fish for big char in Canada’s cold clear northern lakes 30 years ago. Then it was the mono line, 4 to 6 ounce of lead on the line or downriggers. Things have progressed in recent years. We now fish lighter and more direct. 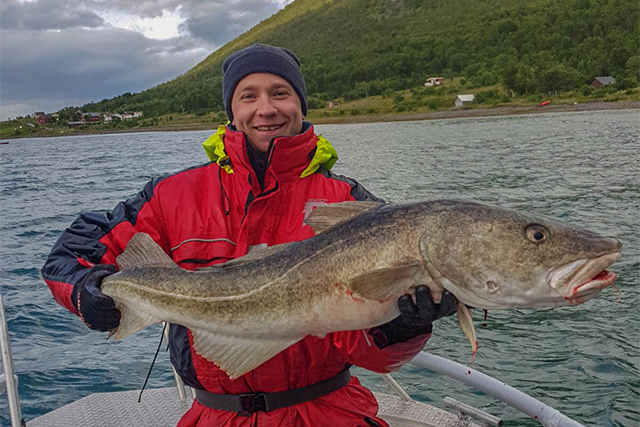 Braid has revolutionised deep water fishing too. Fluorocarbon makes the leader almost invisible in water. Quality echo sounders show features and feeding fish areas quickly on huge water systems. 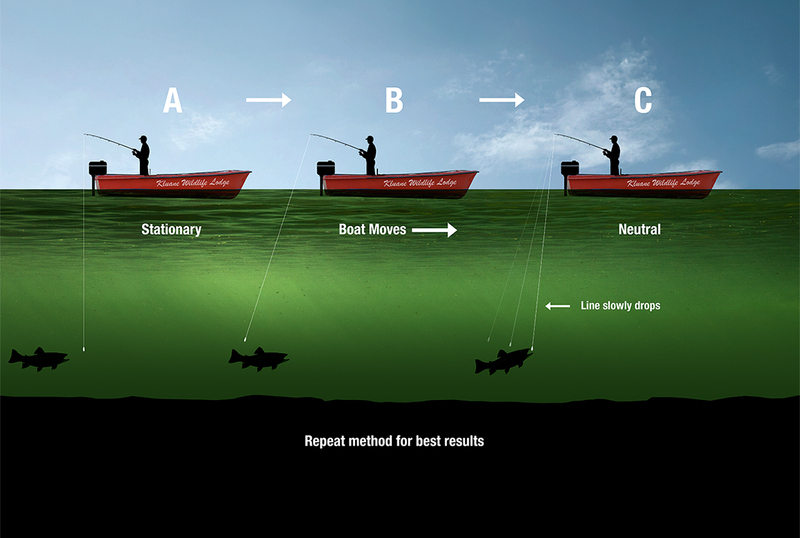 Hooking and landing monster char still requires skill and the right tackle. One of the most effective methods for big char is fishing jig tubes on a 2-ounce lead head hook slowly moving the lure close to the bottom in deeper water. 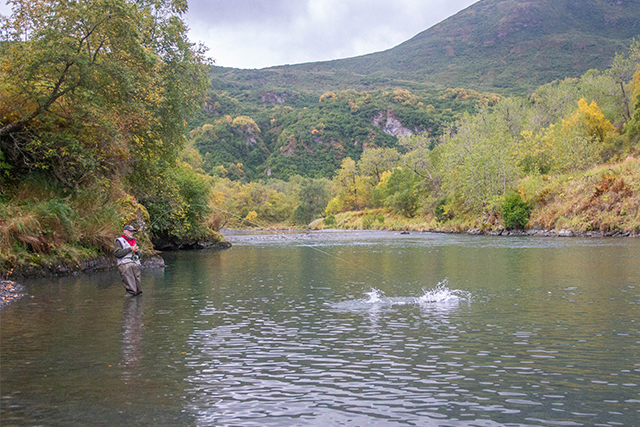 With a breeze, it is possible to fish on the drift. On still days we use the engine in slow drive and then neutral. 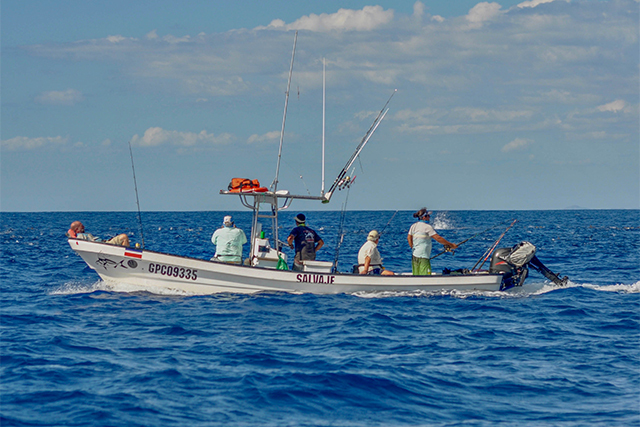 The trick is to work the lure in the last 10 feet to bottom as we pass over shoals of feeding char. We do not target mid or upper water char as we find them not to be feeding as aggressively on this lake. Char of all sizes fight hard. They have a tendency to spin and twist on the line. For this reason, we use braid for the main line and about 18 feet of fluorocarbon or mono as the leader. 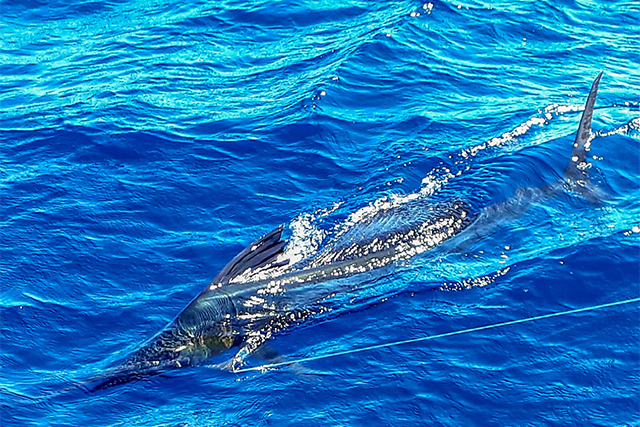 We tie directly to the jig head. The fewer knots etc the better. All hooks must be barbless. Strong but supple through action rod 9 to 10 feet. (5 piece travel rod). Use too stiff a rod and you will “bounce” fish off. A fixed spool reel with a smooth powerful drag is essential. I use a Shimano Saragosa 8000. Slightly over gunned but better than being under gunned.! 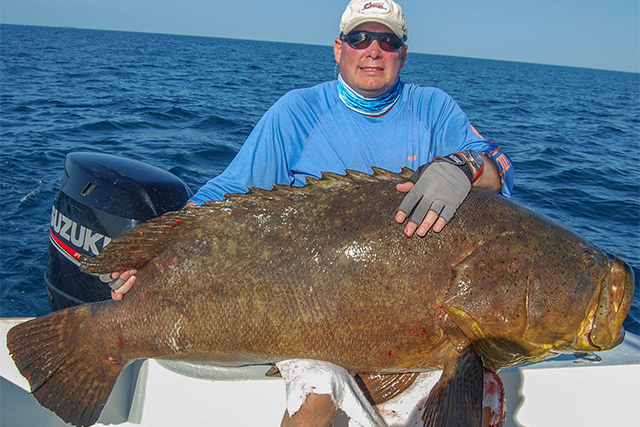 You never know whether you are going to hook into a 20 to 50-pound fish or bigger. There are 80 pounders swimming in these depths and these lake char do not give up easily. It’s a long dogged fight with the big ones. I fully load my reel with 50-pound braid. My leader will be 26lb fluorocarbon. Jig tubes and 2 oz lead head hooks are available at the lodge. I have the best success on white jig tubes but other colours work too. Better to have a selection. 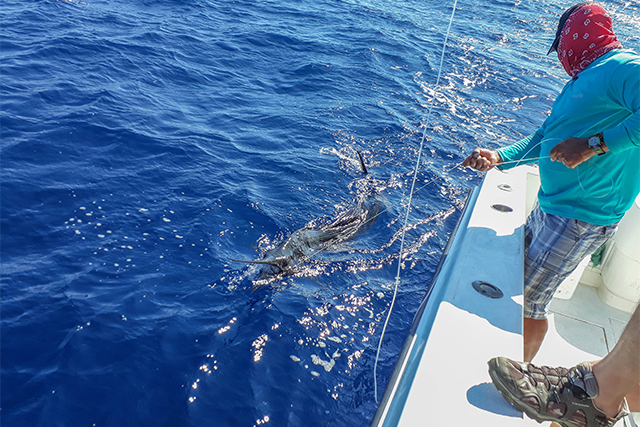 Ensure the char has degassed (you will see a prolific amount of bubbles expelled from the char’s mouth and gills (as it reaches around 20 feet from the surface) Then carefully release at the boat. Once it clears the 10-foot depth mark it will safely make it to the bottom. (We hold only a few fish for photos as examples of our catch, far better not to take them out of the water). Remember these lake char have an average growth rate of about half a pound a year. 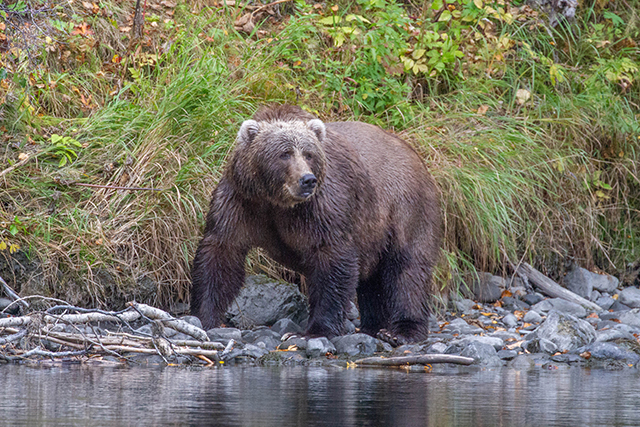 A 45-pound char is around 90 years old.!!! 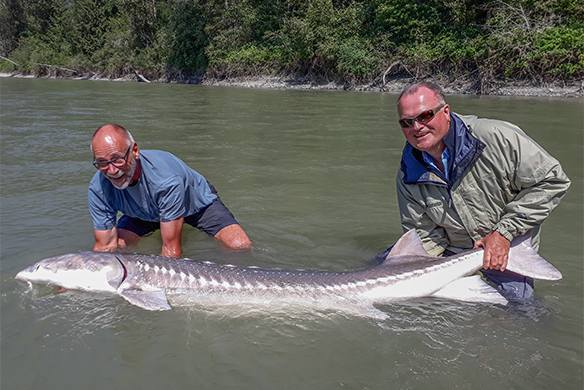 Dave Plummer escorted a small group for 6 days fantastic fishing for sturgeon on the mighty Fraser River in conjunction with our top guides at Cascade Fishing Adventures. 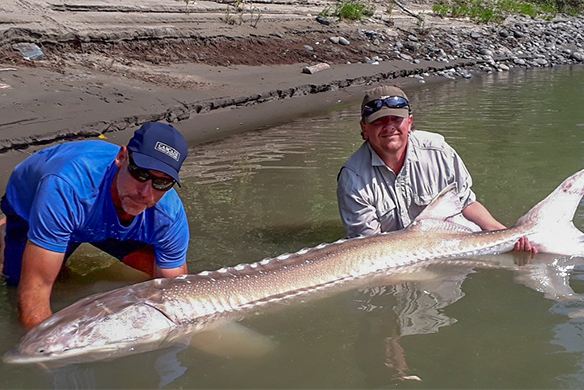 They landed many fish in the 200 to 400 pound class the biggest around 480 pounds. Amazing weather and action packed sport. 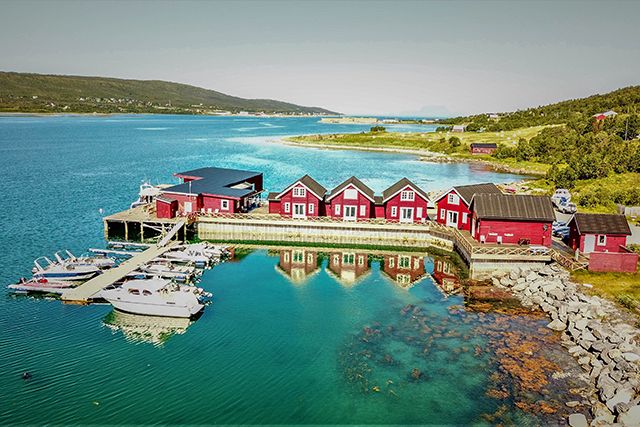 Join Dave on an escorted trip in July 2019, booking now.